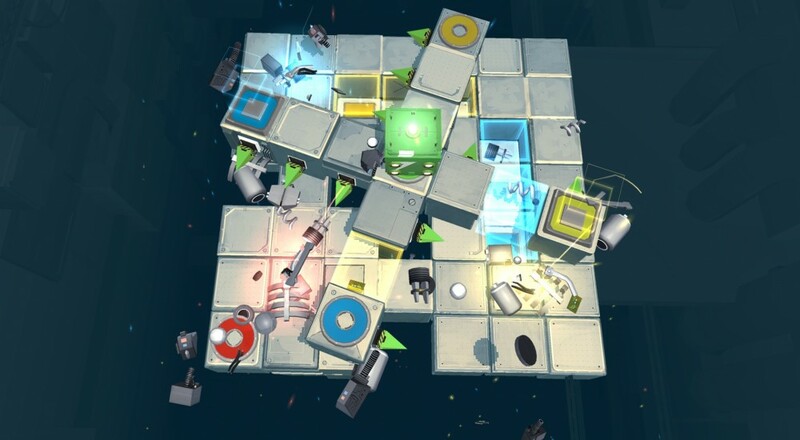 The puzzle platformer that will "test relationships," SMG Studios' Death Squared, now has an official release date. The title will arrive on PC, PlayStation 4, and Xbox One on March 14. While the title only supports couch co-op natively, if you pick up the game for the PlayStation 4, you'll be able to play with friends online thanks to the Share Play functionality. Granted, this means you'll only get an hour's worth of play time at a time, but if the game can be as maddening as the devs claim, chances are that that's the right chunk of time to devote to it in one sitting. Death Squared will be available on PC, PlayStation 4, and Xbox One simultaneously on March 14, 2017, and will retail for $19.99. Page created in 0.8466 seconds.